The best theater pieces involve characters who want something very badly. 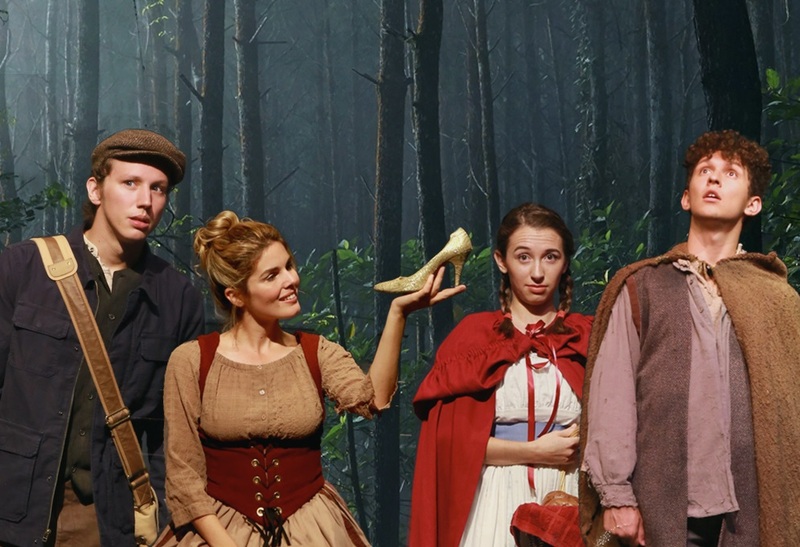 Perhaps that is what links Jane Austen’s Sense and Sensibility and the Stephen Sondheim/James Lapine musical, Into the Woods, which are the cornerstones of this year’s Festival Rep on Florida Atlantic University’s Boca Raton campus. In the former, two sisters, Elinor and Marianne Dashwood, yearn for husbands when their father’s sudden death and England’s early 19th century inheritance laws leave them relatively destitute. In the latter, which takes place in the “once upon a time” world of fairy tales, a baker and his wife need to gather objects to lift a neighboring witch’s spell and allow them to have the child they so desperately want. Like much of Austen’s literary output, Sense and Sensibility conforms roughly to the familiar outline of romantic comedy, a parallel emphasized by the stage adaptation by Kate Hamill. Elder, more level-headed Elinor (Amanda Corbett) nevertheless becomes smitten with her half-brother-in-law Edward Ferrars (Sean Patrick Gibbons), only to be crushed by the news that he has long been secretly engaged to another. Similarly, the comely, flirtatious Marianne (Gabriela Tortoledo) draws the attention of the dashing John Willoughby (Zak Westfall), but he too opts for a more monied partner. Much anguished chest-heaving ensues, but never fear that love will win out by the tale’s conclusion. Austen did, after all, know how to sell books. Hamill’s stage version hits the high points of the novel, moved forward by a gossiping Greek chorus of young biddies. Director Jean-Louis Baldet moves the production along briskly with a cinematic flow, aided by stage-wide projections of the British countryside. The purpose of Festival Rep is to give graduating masters students a professional credit and showcase. From that perspective, and factoring in their work in Into the Woods, Tortoledo and Westfall look to have promising careers ahead of them. The Rep also fills casting holes with a few Actors’ Equity veterans. 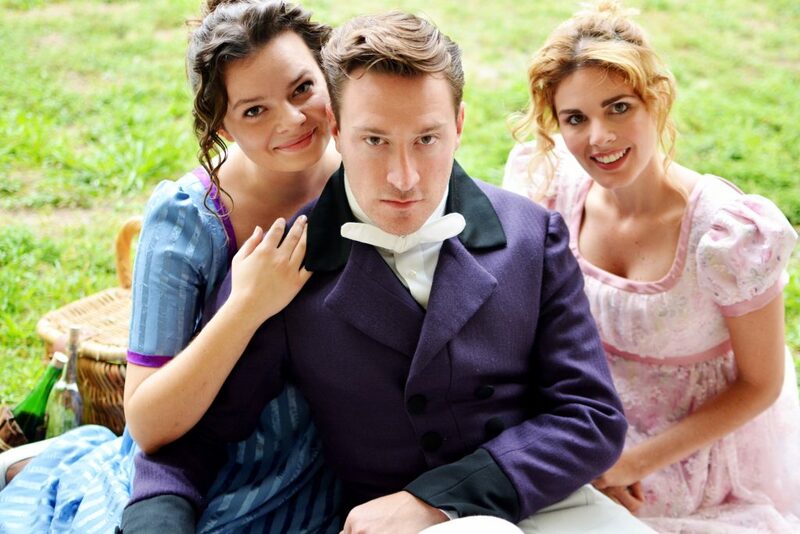 In the case of Sense and Sensibility, they include assistant professor Kathryn Lee Johnston as mother hen Mrs. Dashwood and South Florida stalwart Barry Tarallo as a relative of hers who invites her and her daughters to live in a small cottage on his land. Both actors lend solid support, though their secondary characters afford them little opportunity to stand out. The Austen play is hardly easy to bring to life, but it takes a back seat to the performance and production challenges of the Sondheim-Lapine musical. Still, director Bruce Linser and his cast do a creditable job with the complex narrative of intertwined fairy tales and with Sondheim’s offbeat vocal rhythms. Although the show in based in such familiar iconic characters as Cinderella, Little Red Riding Hood, Rapunzel and Beanstalk Jack, never doubt that Sondheim and Lapine have adult themes of life’s perils and community interdependence to explore. It is no spoiler to report that the first act ends with “happily ever after,” because the show’s depth lies in the darker second act, with a consideration of the consequences of what one wishes for. In addition to more stellar work from Tortoledo as a clumsy, but endearing Cinderella, two other women in the cast are standouts. Jessica Eaton impresses in the key role of the Baker’s Wife, who has an unexpected encounter with a Prince in the woods and an un-fairy tale-like sexual awakening. And FAU faculty member Lynn McNutt grabs the spotlight as the rap-singing Witch who turns sympathetic as she reveals her maternal side. Like Sense and Sensibility, Into the Woods is a show of many scenic locations, which Linser and set designer K. April Soroko solve with a series of stage-high tree trunks which can shift about, defining various playing spaces. Now in its 20th season, FAU’s Festival Rep has figured out how to satisfy the dual goals of providing roles of substance to the cast while producing sufficiently commercial theater that attracts a sizable audience. It is a tricky balancing act, but Sense and Sensibility and Into the Woods demonstrate it can be done. SENSE AND SENSIBILITY and INTO THE WOODS, Florida Atlantic University’s 2017 Festival Rep, 777 Glades Rd., Boca Raton. In repertory through July 30. $25. 800-564-9539.